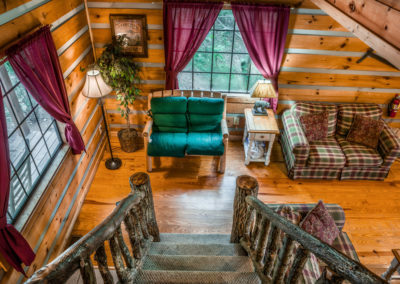 Convenient Family Cabin in Pigeon Forge, TN. 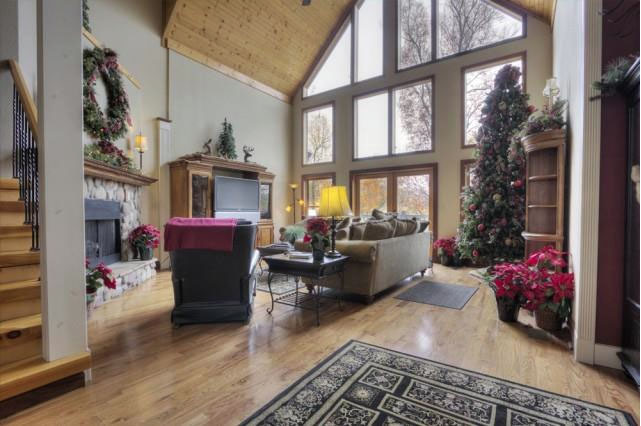 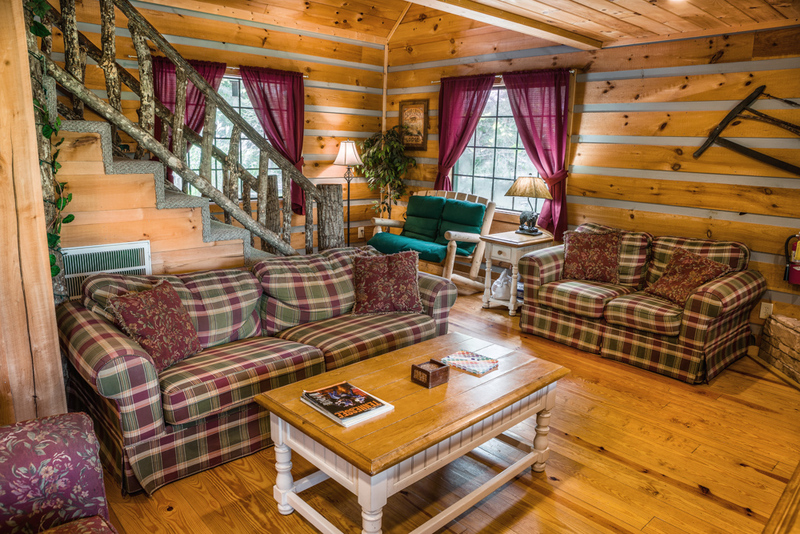 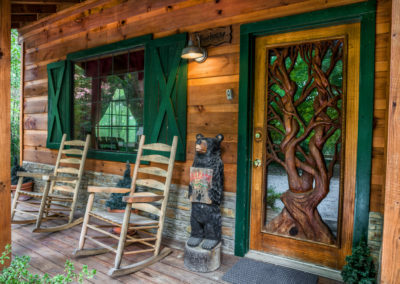 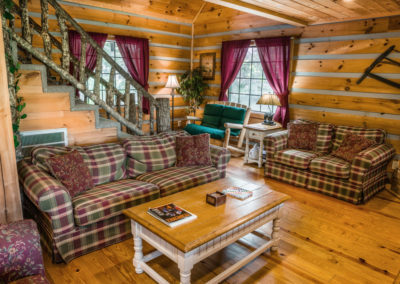 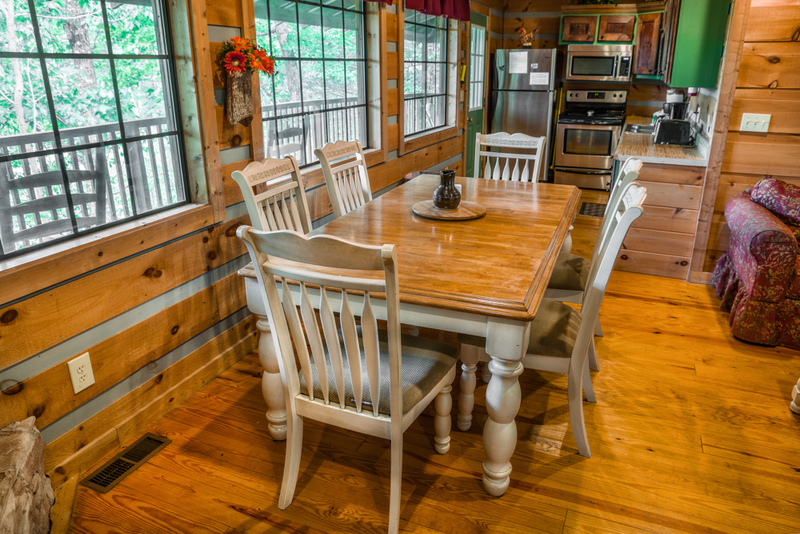 Quite Mountain Cabin, only 1 mile from the Pigeon Forge Parkway. 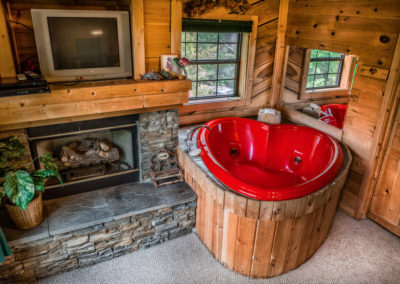 Hot Tub, Fire Pit, Game Room, Jacuzzi Tub. 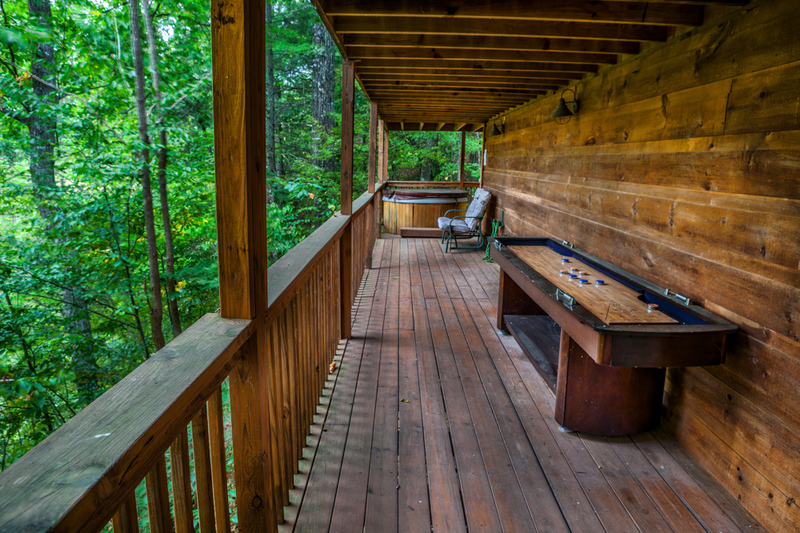 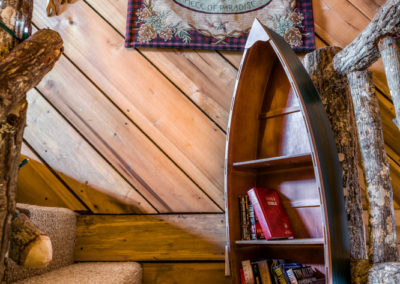 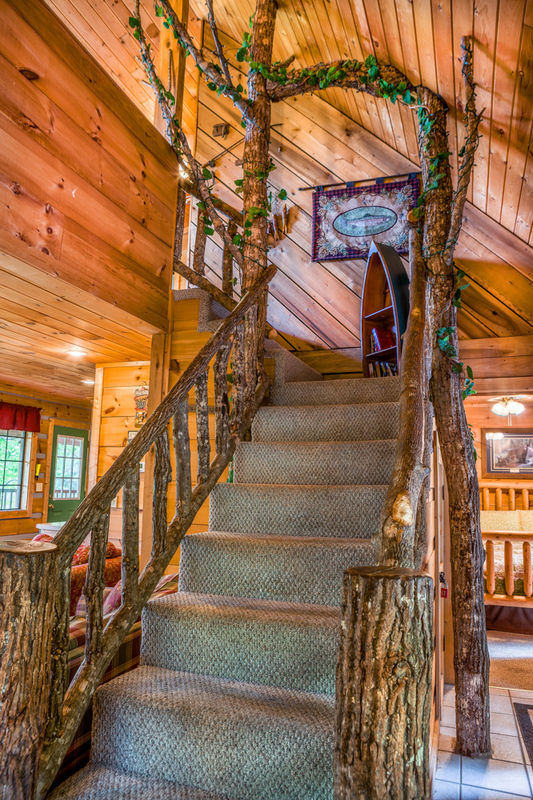 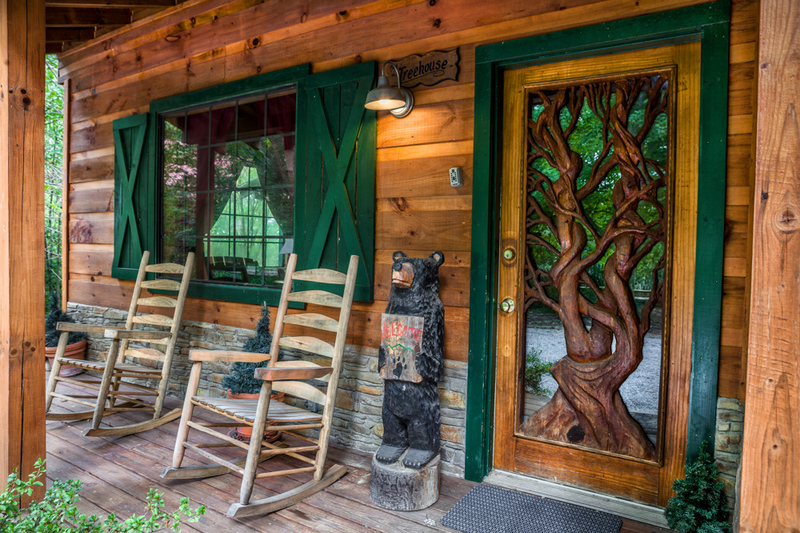 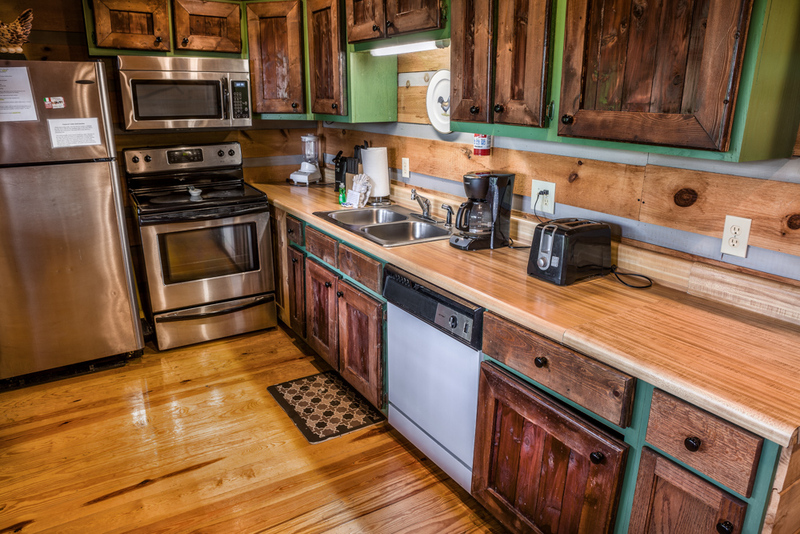 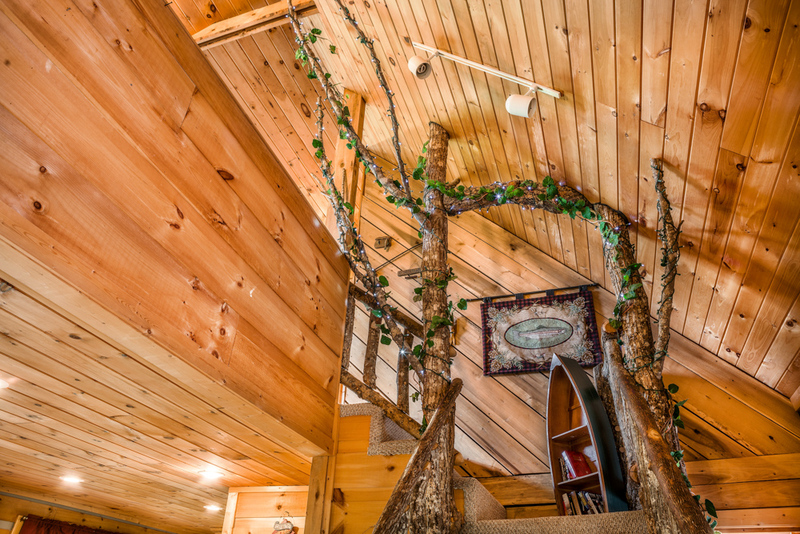 The Treehouse View Cabin is one of the finest and most extraordinary types of accommodation in the Smokey Mountains. 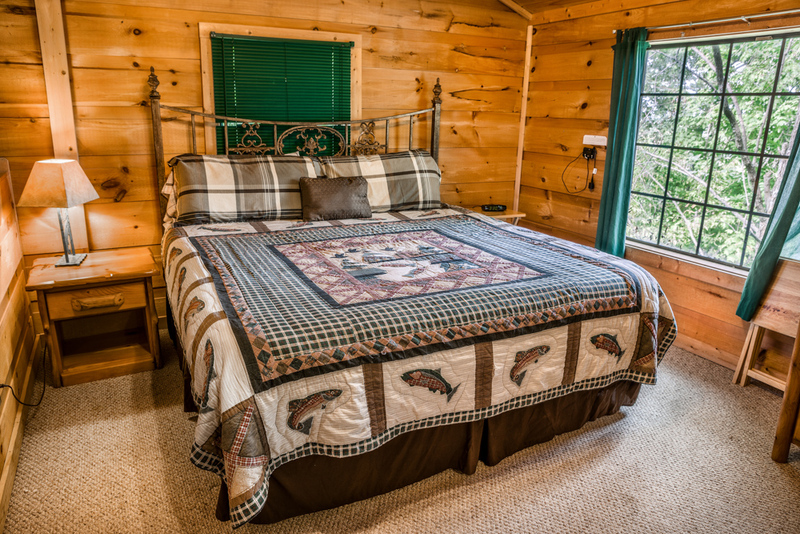 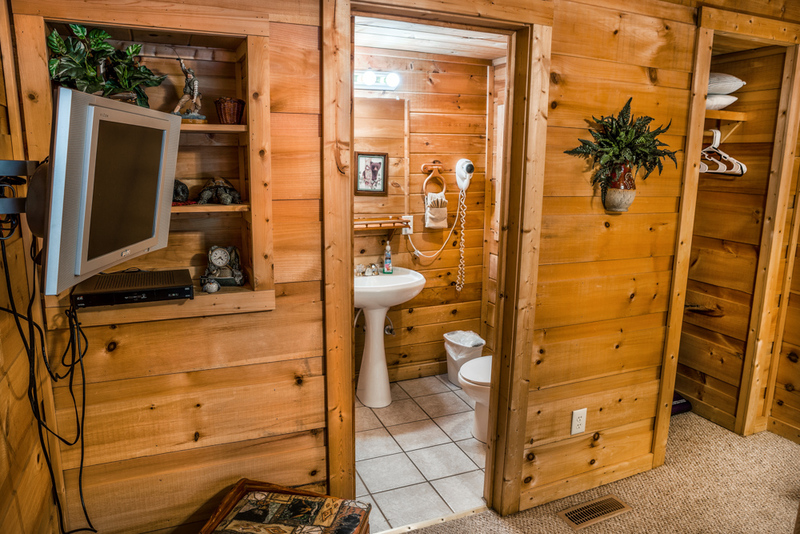 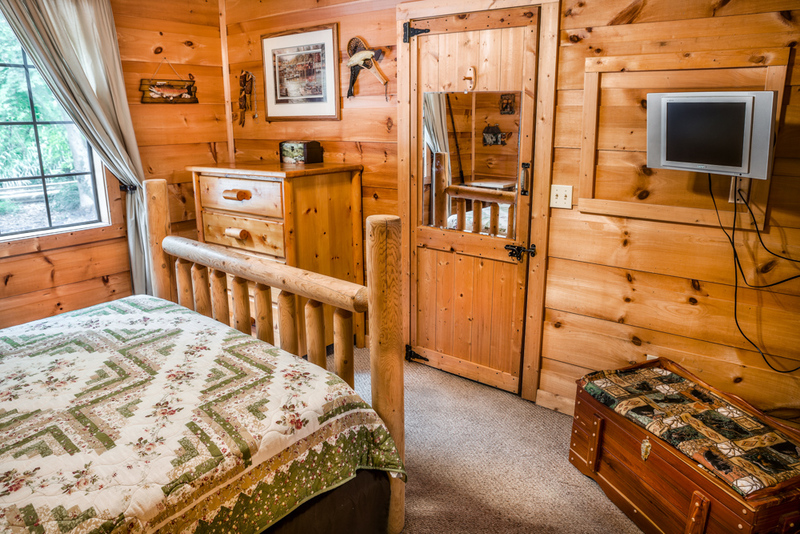 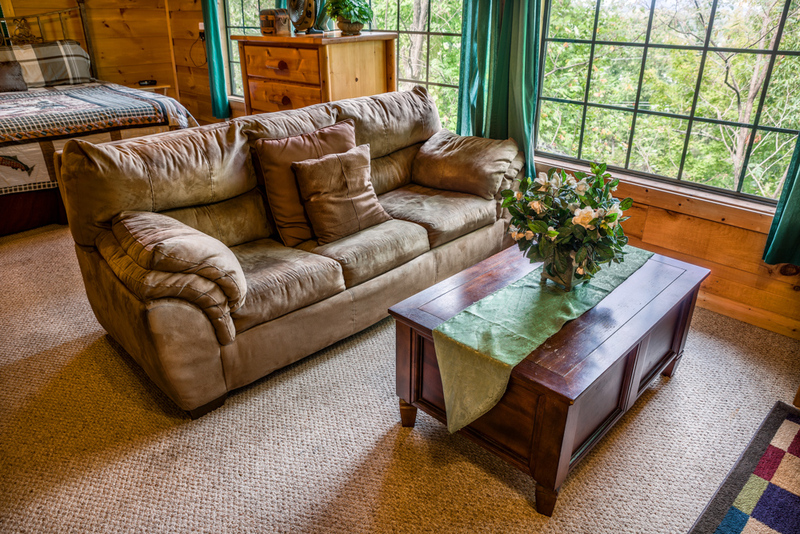 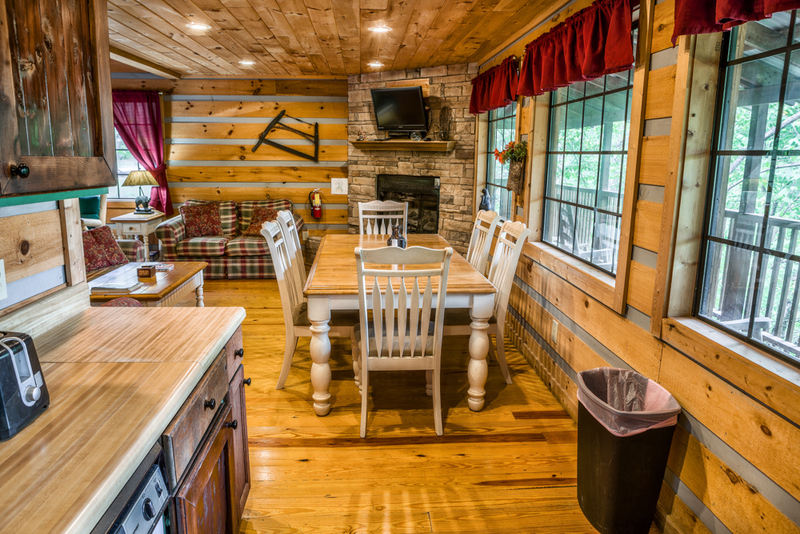 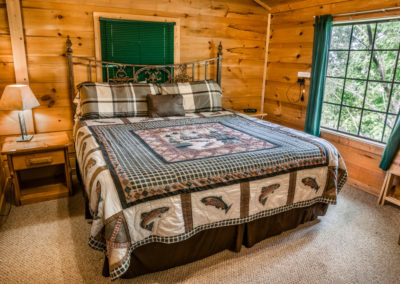 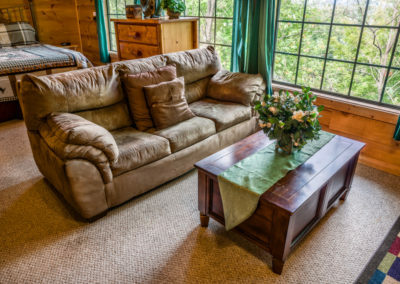 To make your trip to the area of Gatlinburg and Pigeon Forge truly memorable and satisfactory, book a stay in this cabin for yourselves and your friends or family. 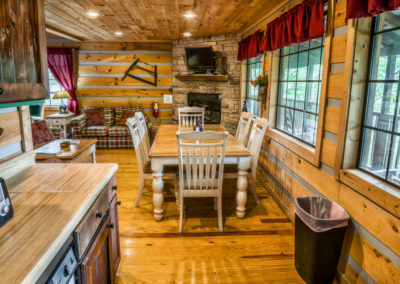 This cabin contains 2 bedrooms and 2 bathrooms, as well as a game room, firepit, and a deck with a hot tub! 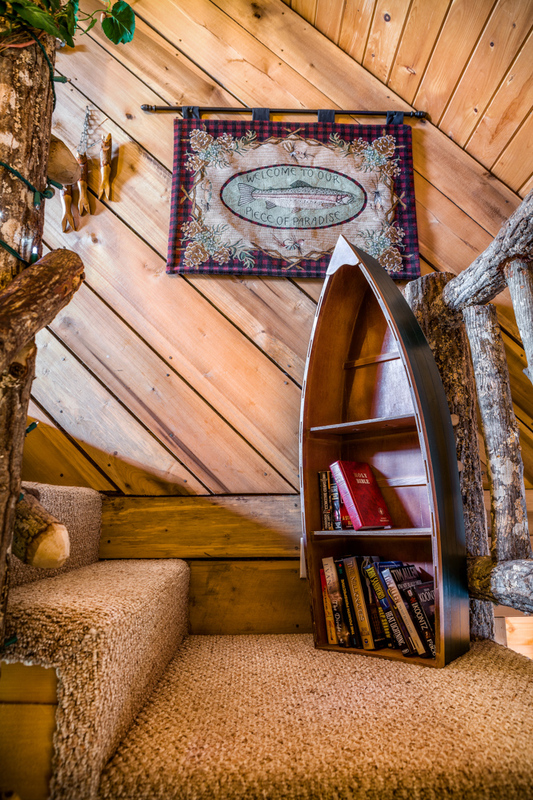 The Treehouse View Cabin can sleep anywhere from 2 to 10 people. 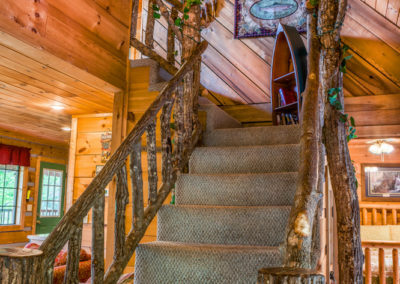 This log cabin has two levels. 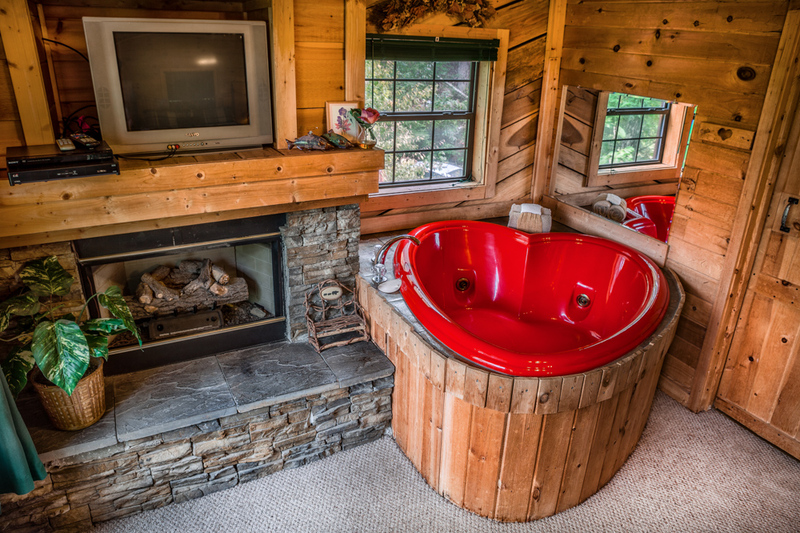 The master suite is upstairs, containing a king size bed, fireplace, a TV, and a bathroom with a heart-shaped jacuzzi tub. 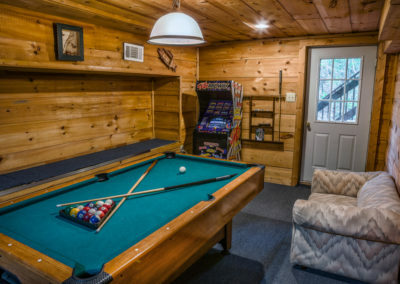 On the lower level you will find a second bedroom as well as a fully-equipped kitchen, another bathroom, a homey sitting area, and a gaming room. 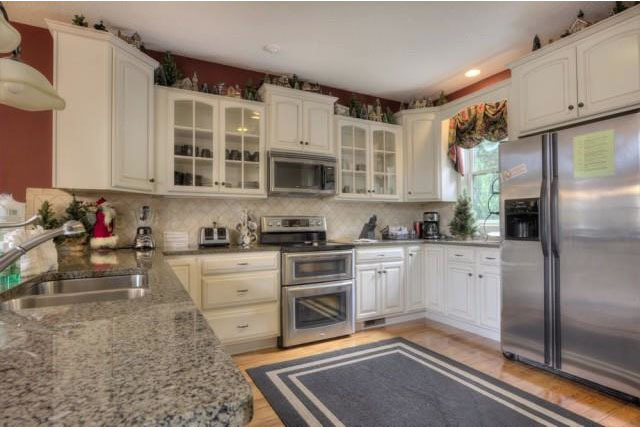 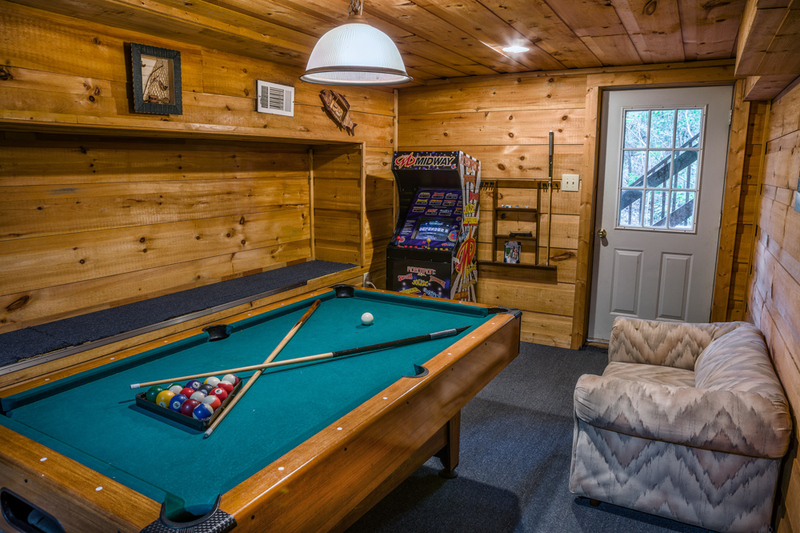 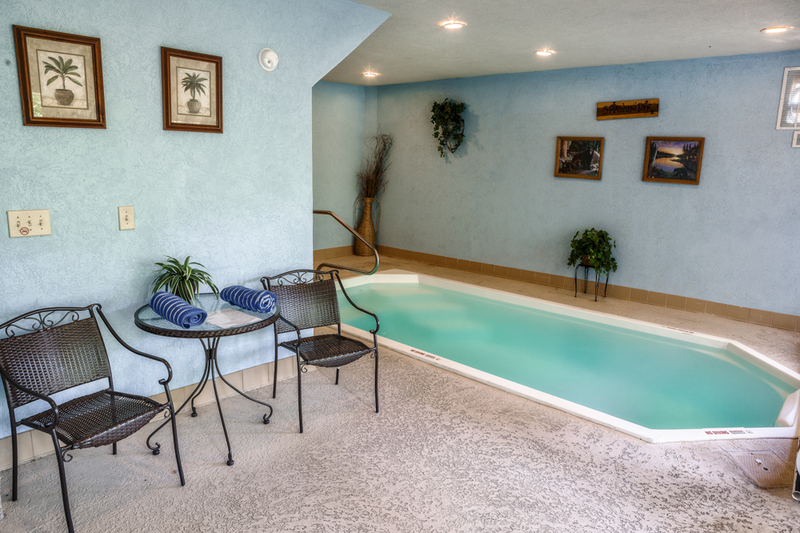 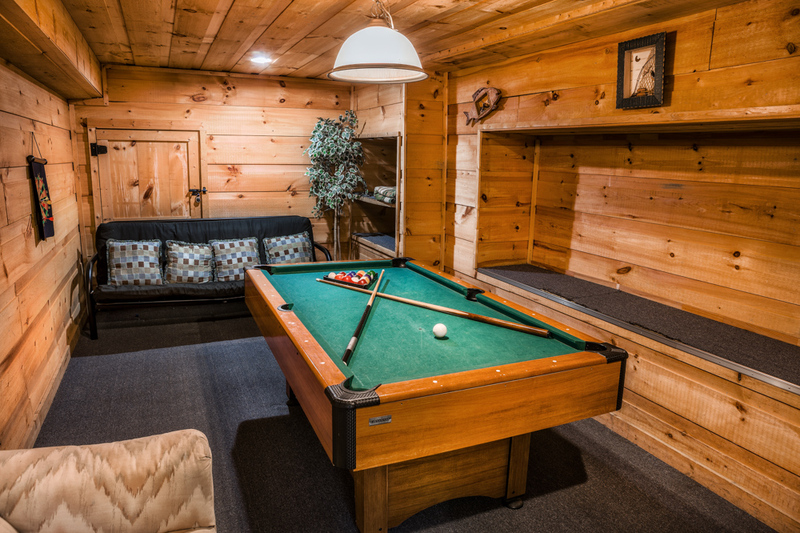 This game room offers quite a few fun activities, including a pool table and shuffleboard. 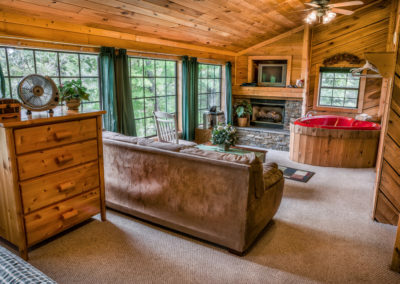 In addition, there is a sleeper sofa and a futon. 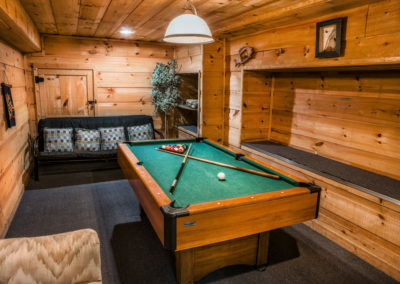 These are designed for small children to sleep on. 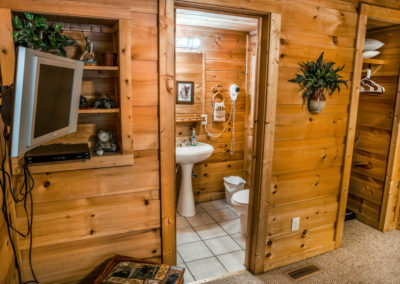 One of the things that makes this cabin so unique is its design. 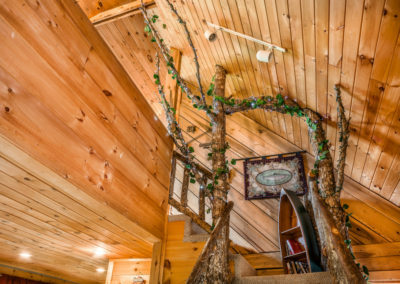 It is meant to feel as if you are staying in a house nestled up amongst the branches of a huge tree. 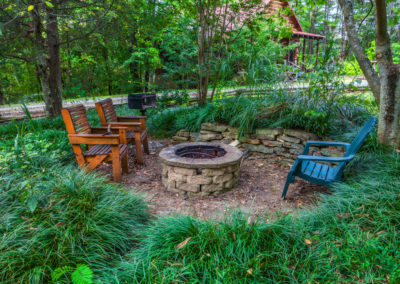 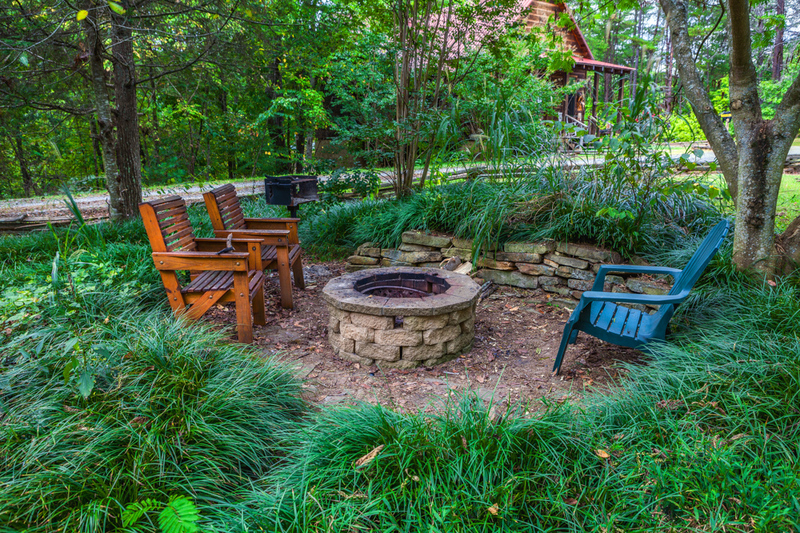 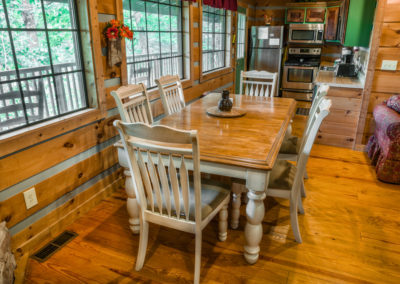 With plenty of fun things to do inside and a firepit, swing, rocking chairs, and hot tub outside, this is the ideal cabin for a family vacation or a getaway with your best friends. 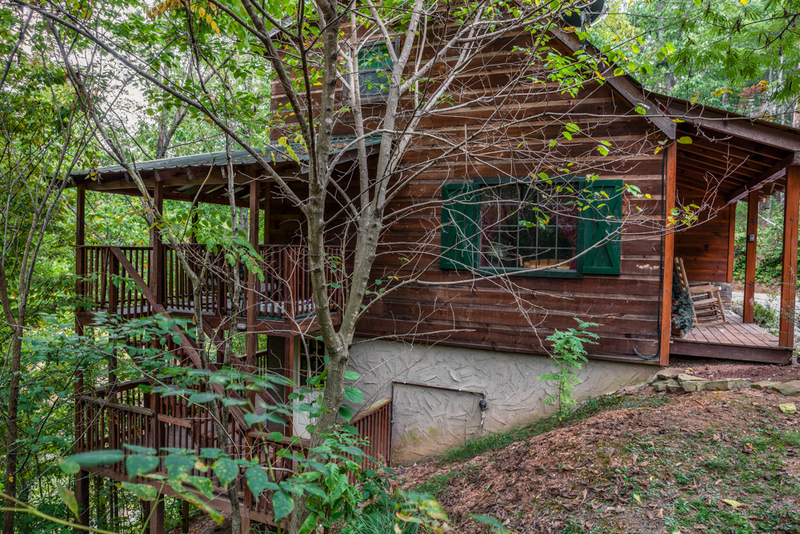 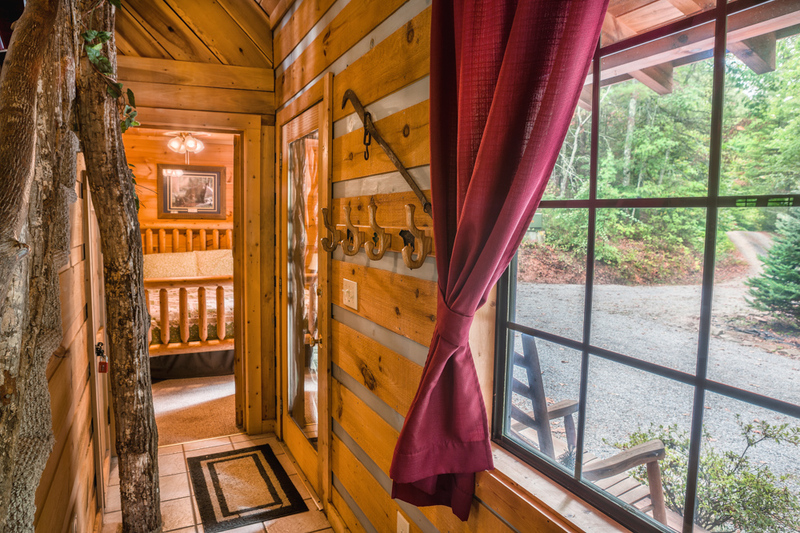 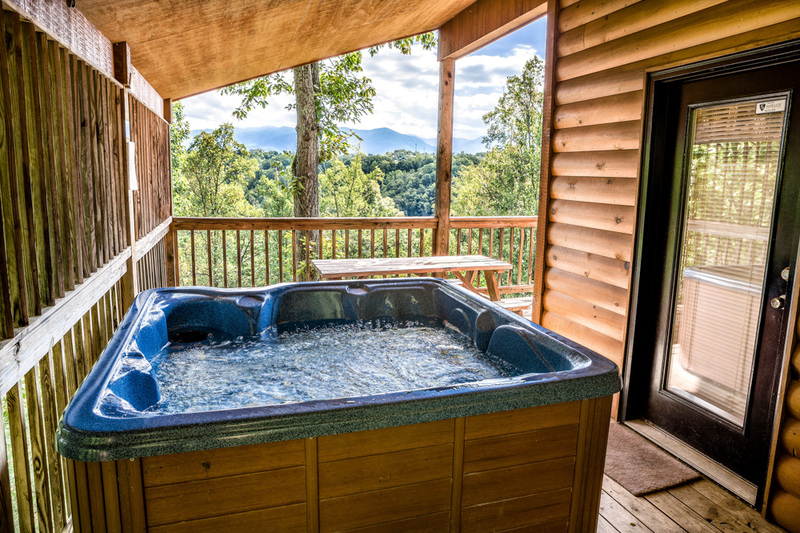 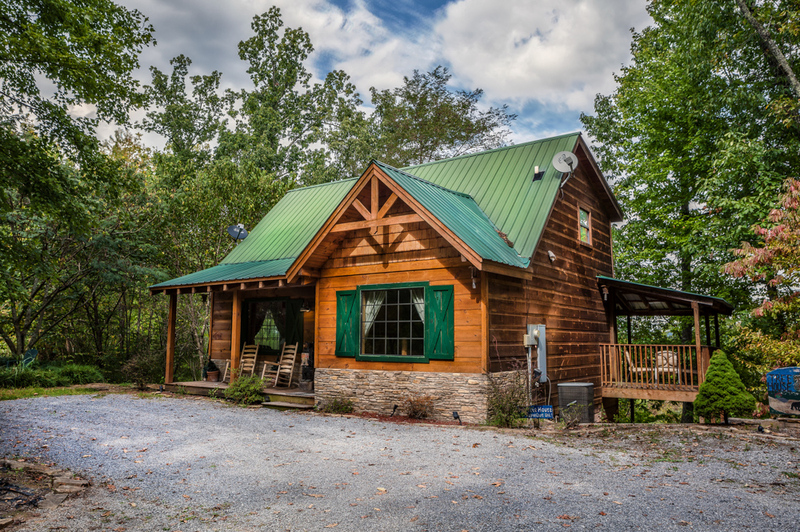 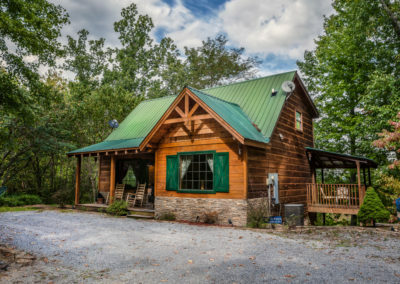 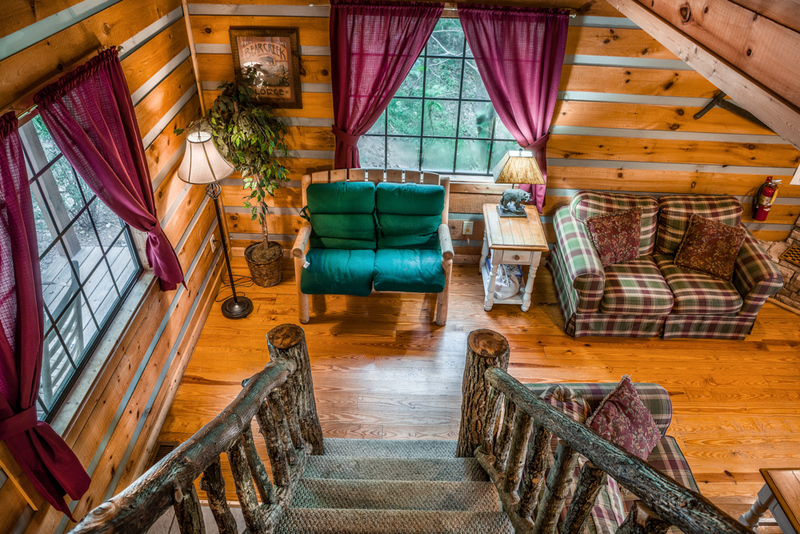 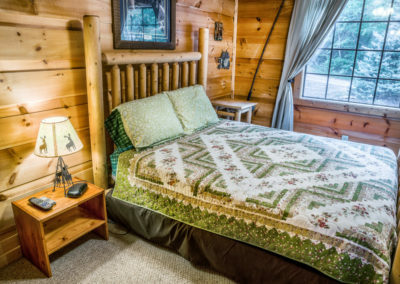 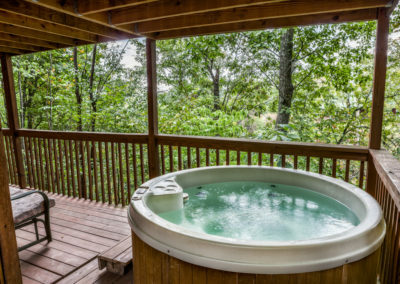 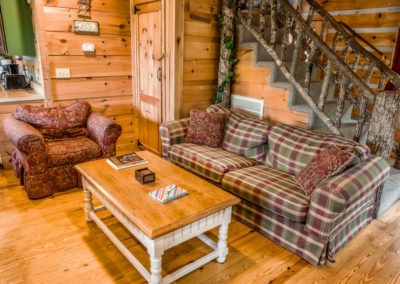 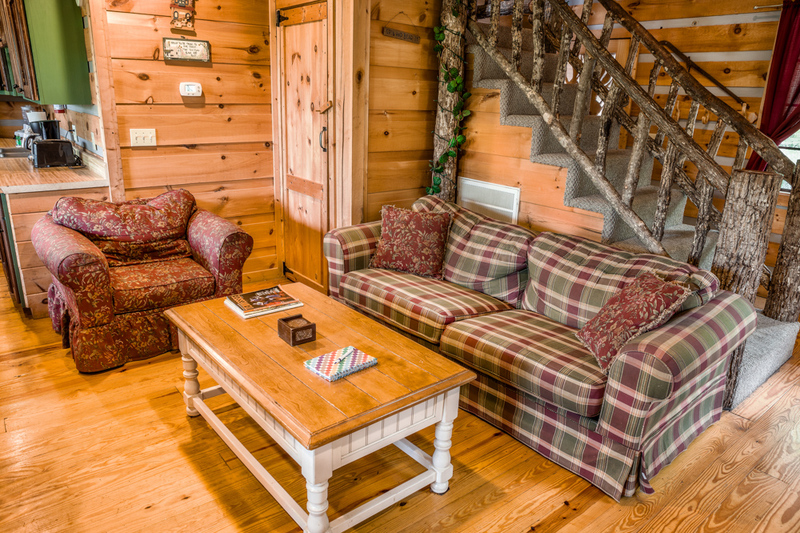 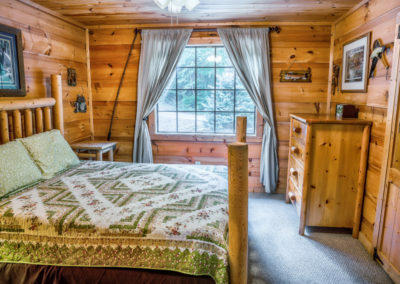 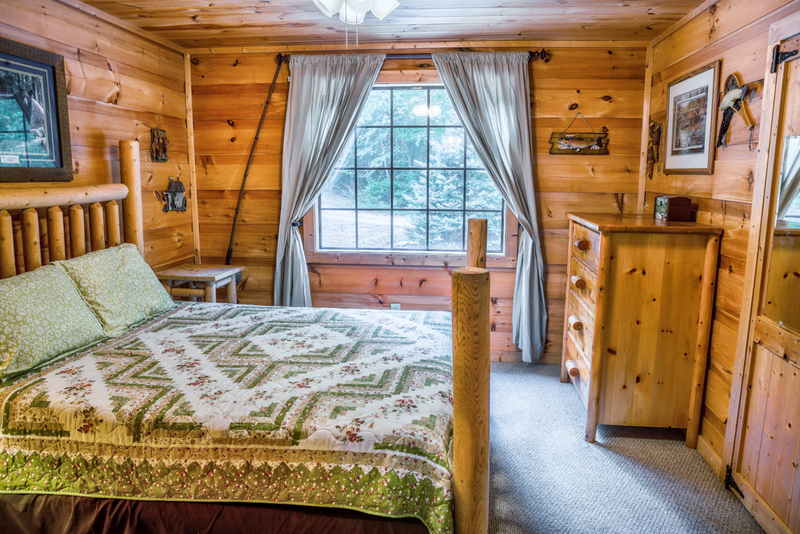 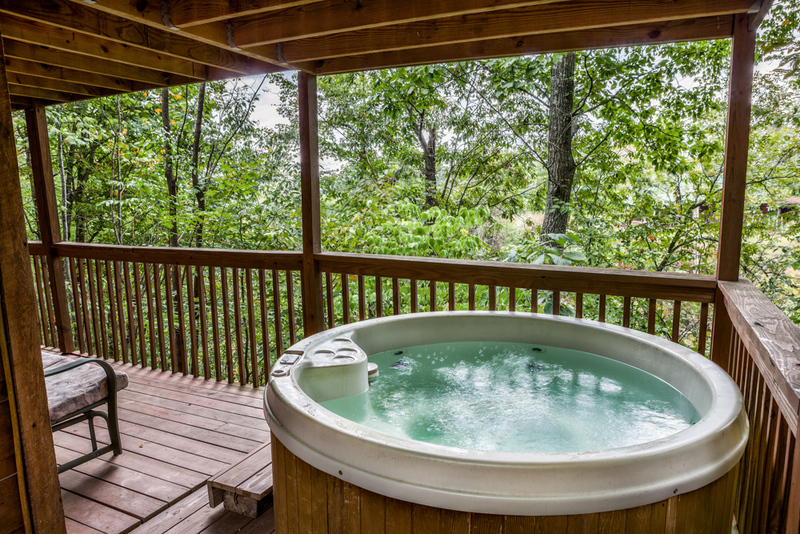 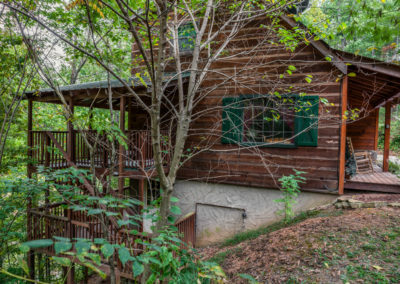 This cabin has a secluded feel and fabulous views, but it also is only a few minutes away from the top attractions of the area, including Dollywood and great dining options to hit the spot no matter what everyone is craving. 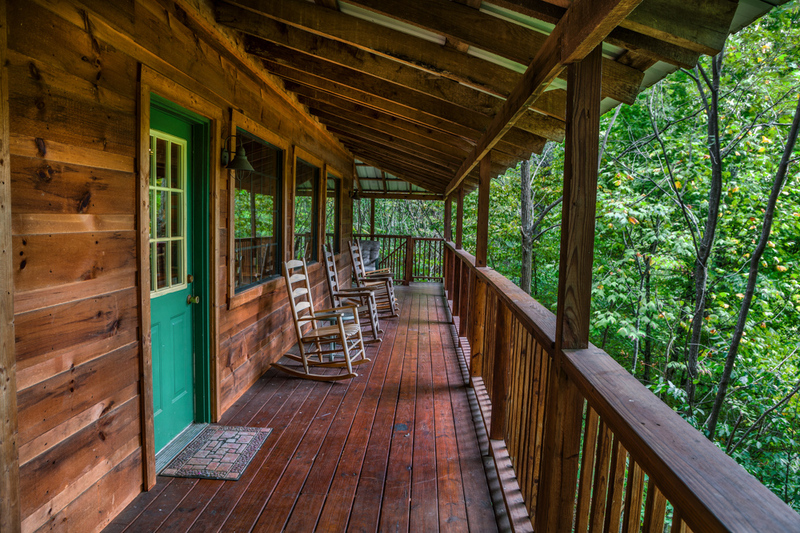 There are no winding mountain roads to deal with. 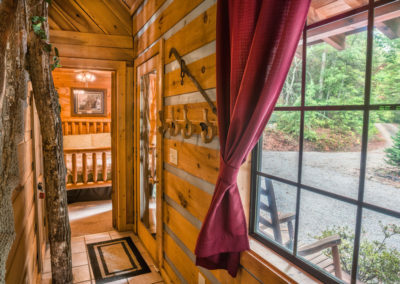 If your stay at the Treehouse View cabin is less than 30 days from your arrival date, then you must pay the full amount when you are booking. Otherwise we offer a convenient payment plan – 50% being due at the time of booking with the remainder to be paid 30 days prior to your arrival. 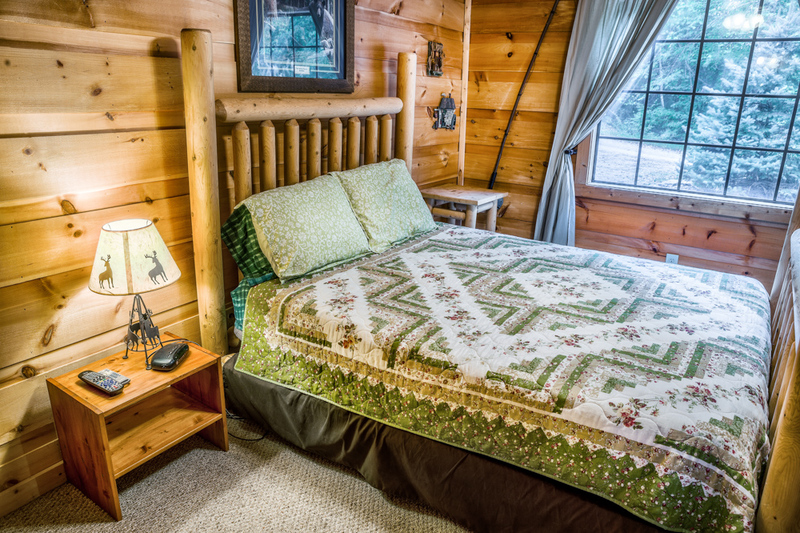 If you make a cancellation more than 30 days in advance, you will incur a $150 cancellation fee. 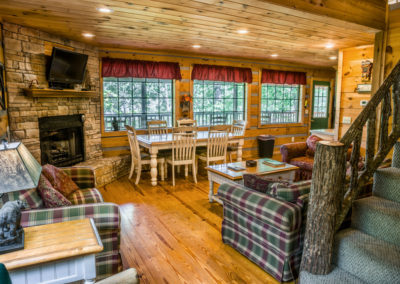 Cancelling within 30 days of your arrival means that you cannot get a refund. 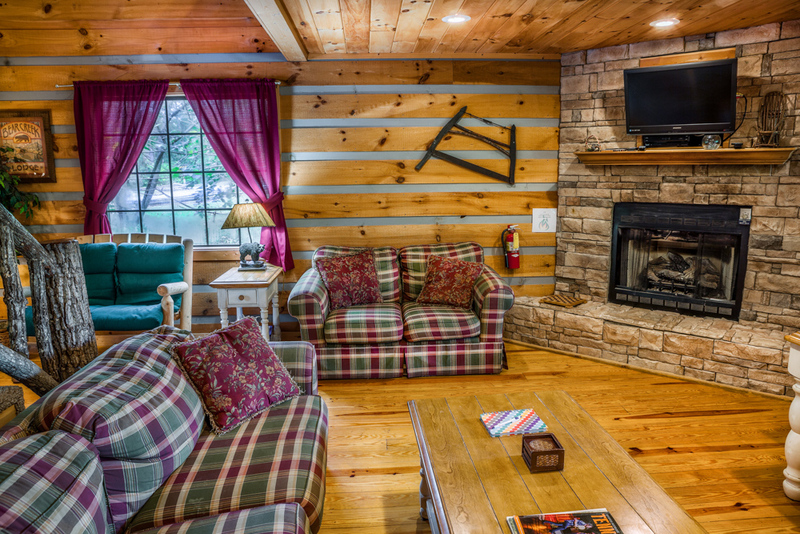 We accept any credit or debit card you carry. 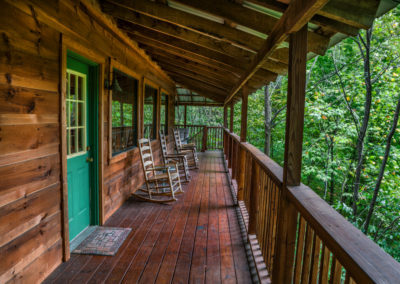 However, there is a 3.5% service fee when using American Express. 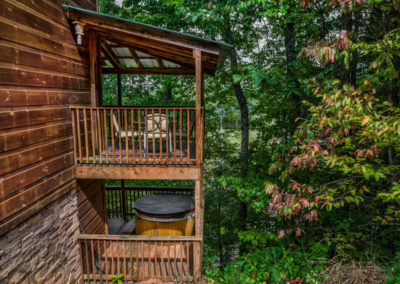 The Treehouse View check in time is 4 PM and the check out time is 10 AM. We would be happy to answer any questions you may have. 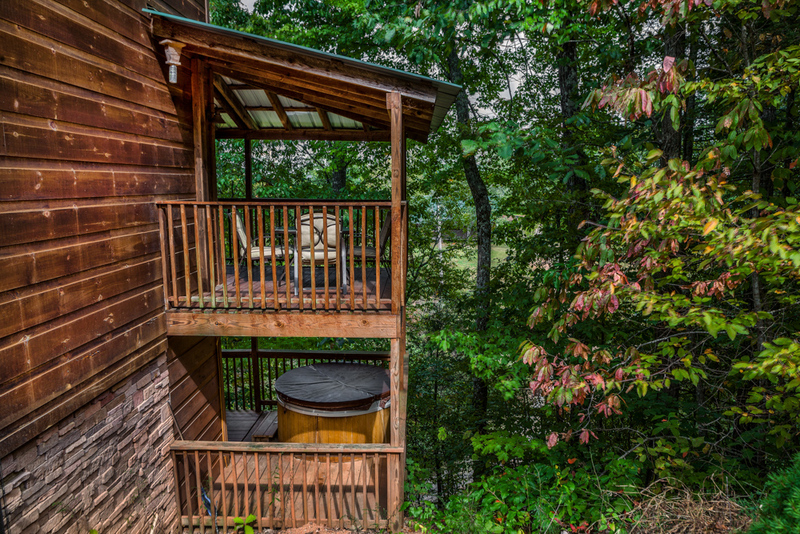 We look forward to receiving you as our guest in the Treehouse View Cabin!